India successfully launched its fourth satellite on Saturday aiming to develop its own navigation system. 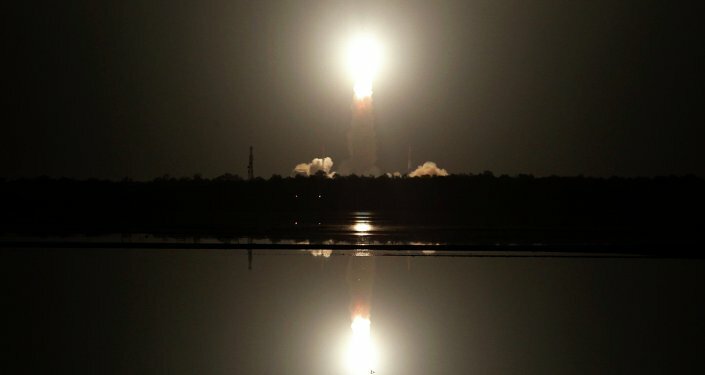 NEW DELHI (Sputnik) – The IRNSS-1D navigation satellite was launched from the Satish Dhawan Space Centre at the Sriharikota Island in the southern part of the country. Indian President Pranab Mukherjee congratulated the Indian Space Research Organisation (ISRO) with the successful launch of the satellite. "I understand the IRNSS-1D will provide navigation, tracking and mapping services which will take us closer to setting up our own navigation system," Mukherjee said in a message to the chairman of the ISRO. The launch was originally scheduled for March 9 but was delayed due to the anomaly found in the telemetry transmitter. According to the ISRO website, the launched satellite will help in the development of India's navigation system, which is designed to cover South Asia and will consist of the total of seven satellites.